Each year, as the grape harvest ends, we turn our attention with excited anticipation to the coming olive harvest. Our grove, planted in 2006, consists of 5 different Tuscan olives, including Pendolino, Frantoio, Leccino, Ascolana and Taggiasca varietals. Each tree varies in appearance and produces uniquely shaped and sized olives. The classic "Sicilian" planting stype represented in our grove allows room for the trees to sprawl horizontally. At harvest each November our olives are blended int he grove, and readied for pressing. 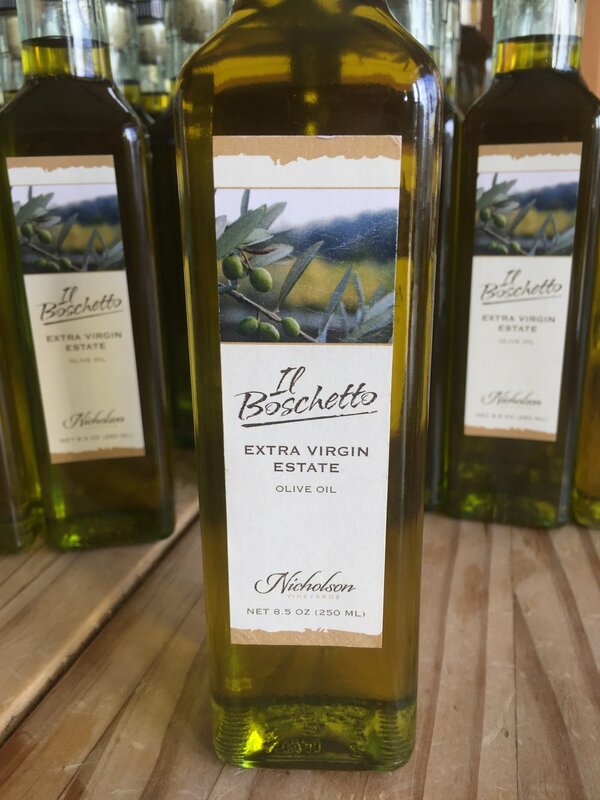 Our Boschetto Estate Olive Oil (not fined or filtered) is wonderfully spicy, a beautiful complement to finish your favorite dishes. If available, you won't want to miss the chance to take a bottle or two home.